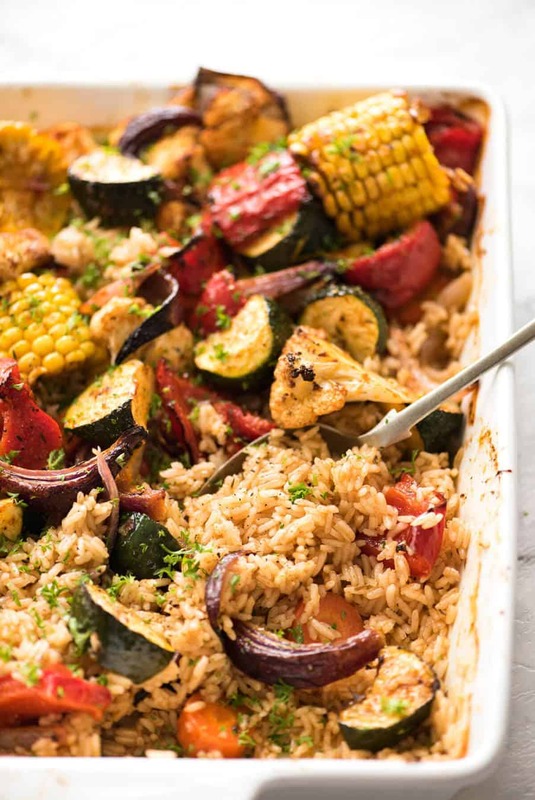 Fluffy seasoned rice and oven roasted vegetables, all baked in one pan? YES YOU CAN! The veggie juices drip down into the rice while it’s baking so it absorbs all that extra flavour. It’s like free vegetable broth. 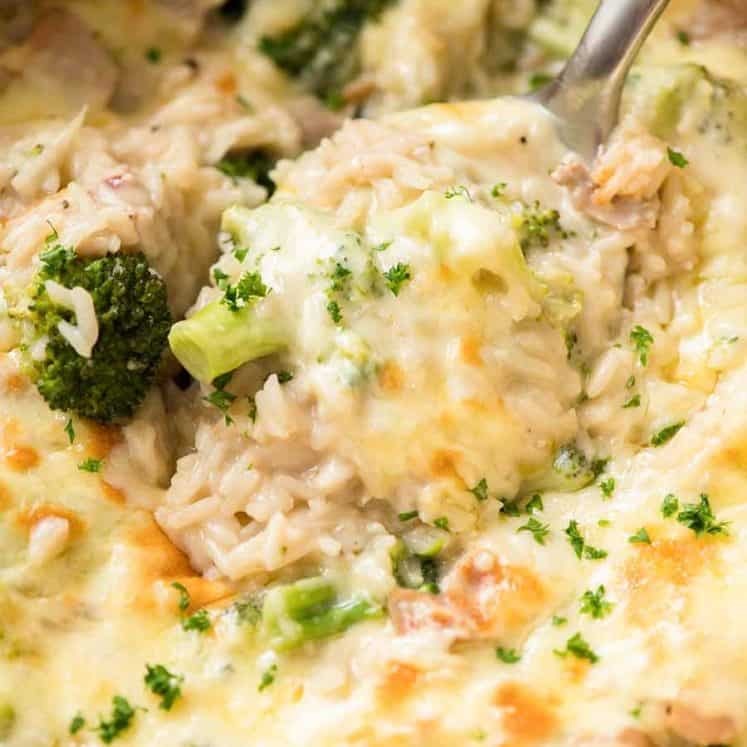 While this Oven Baked Rice and Vegetables is great as a side, I usually have it as a meal! I probably should be sharing an Asian recipe to be on theme, but I’m so overdue on this Oven Baked Rice and Vegetables, I must share it today! This is a reader request – well, I should say readerS. After sharing my Oven Baked Chicken and Rice earlier this year, I had an astonishing number of people requesting a vegetable version. So here it is! 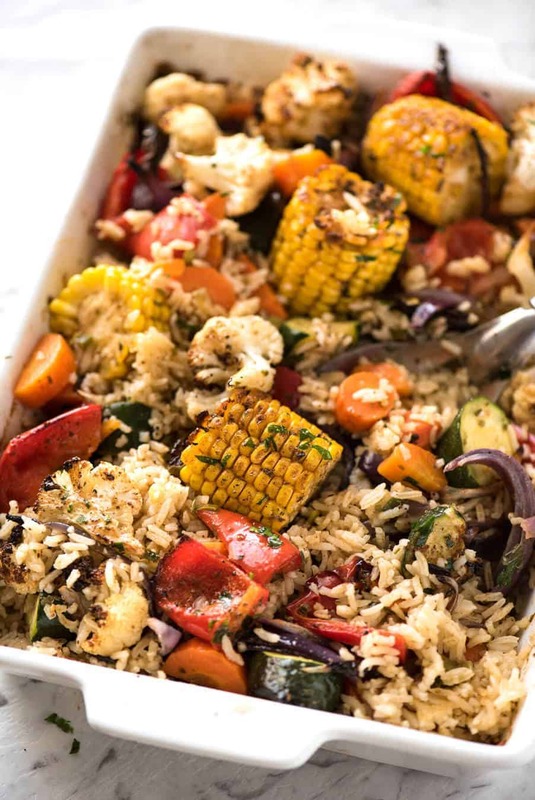 The juices that drip from the veggies while they are roasting on top adds flavour to the rice. It’s like free vegetable broth that is all sucked up by the rice. 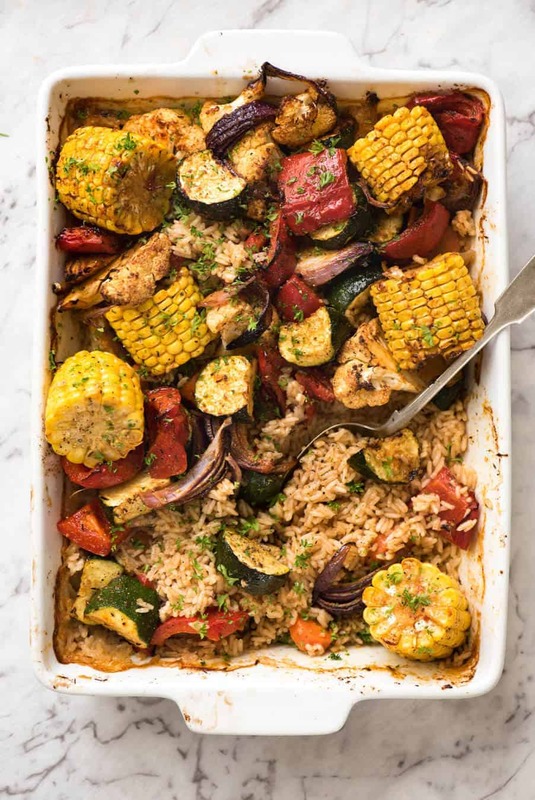 When you bake the rice and roasted vegetables in one pan, the reality is that there is only so much veggies that get the benefit of the beautiful oven roasting char. So when you are spreading the veggies across the top of the rice, make sure to be fair! Get a bit of each type of veggies on the surface so you get some char. And for those veggies that can live without being roasted, like carrots, broccoli and peas, cook them IN the rice, rather than on the surface, or shove them down under the other veggies. Leave the surface for veggies that really benefit from being browned in the oven – in my world, that includes: onions, zucchinis, cauliflower, capsicum / bell peppers. It’s seasoned. It’s fluffy. It’s sucked up all those vegetable juices. PS I expect many people may think of this as a side dish to pair with a protein, but in all honesty, I have it as a meal. I don’t think I’ve ever made it as a side. PPS You won’t need a sauce with this if you serve it fresh. 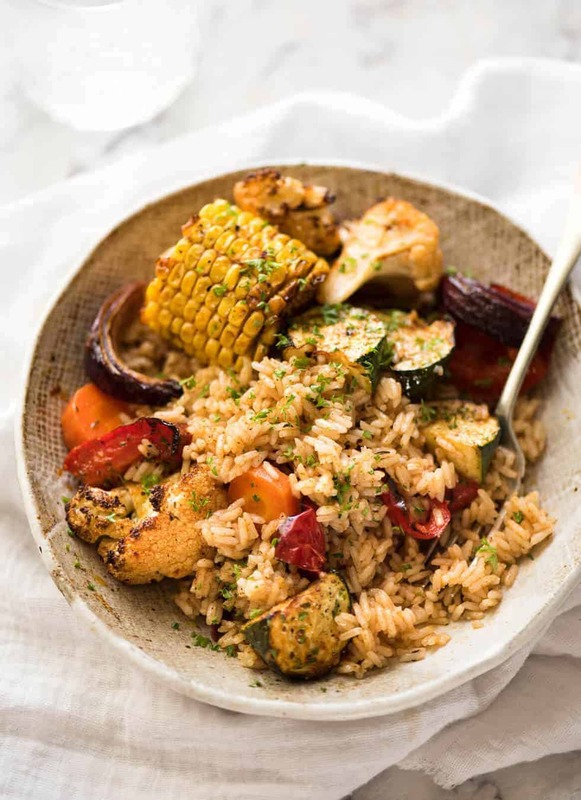 The roasted veggies are juicy and the rice is flavoured. But if you want a sauce, a simple yoghurt + lemon one would pair great with this. Recipe in the notes. Recipe video above. 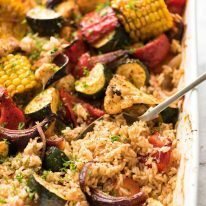 Fluffy seasoned rice AND oven roasted veggies, all baked in ONE PAN! Imagine the possibilities! Preheat oven to 200C/390F (standard) / 180C/350F (fan / convection). Mix Spice Mix in a small bowl. Place Rice ingredients in a baking dish (including the carrots), about 23 x 30 cm / 9 x 13". Add 1 1/2 tsp Spice Mix. Stir, cover with foil, bake for 20 minutes. Meanwhile, place Roasting Vegetable ingredients in a large bowl, drizzle with 1/4 cup olive oil. Sprinkle over remaining Spice Mix. Mix well - hands are best for this. Turn oven UP to 220C/430F (standard) / 200C/390F (fan / convection). Take off foil. 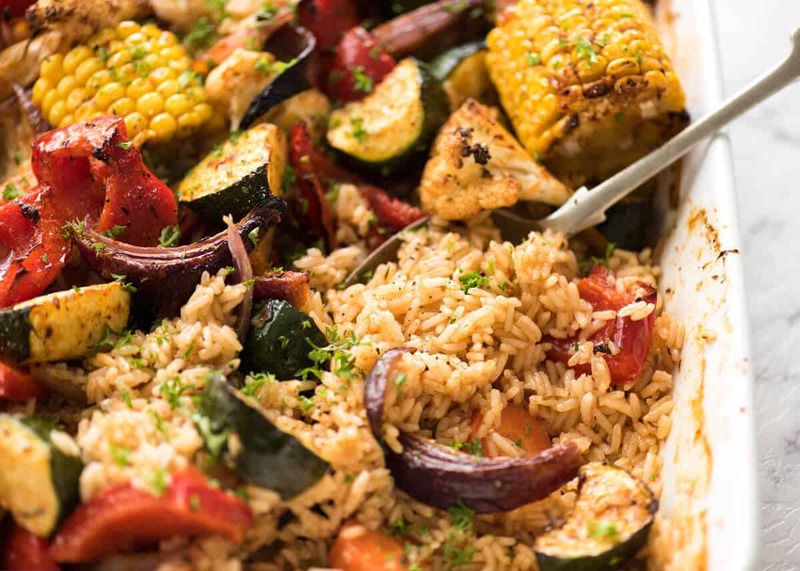 Spread the Roasting Vegetables on top of the rice. Make sure there's a bit of each type of vegetable on the surface. Push corn mostly under. Drizzle with more oil (optional), sprinkle with more pepper. Bake for 30 minutes. Remove from oven, rest for 5 - 10 minutes. Sprinkle with parsley if desired. 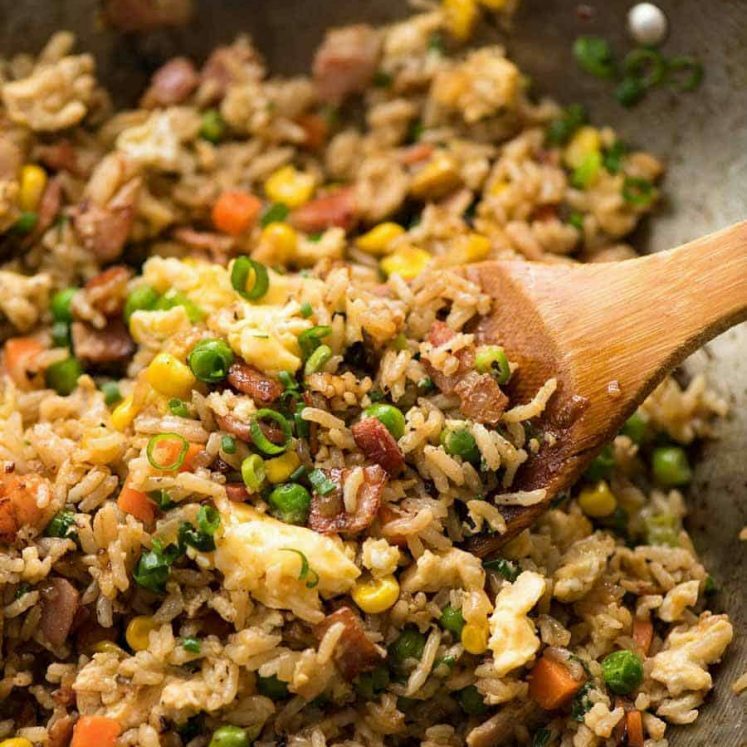 Push vegetables aside, fluff rice and toss it through the vegetables a bit (rice gets more flavour). Serve! 1. This recipe is best made with white long grain rice because it's less sticky than short and medium grain. Basmati and jasmine will also work - same cook time. Risotto and paella rice are not suitable. Brown rice will take about 1 hr 10 minutes in the oven. So bake covered in foil for 40 minutes, then spread over vegetables and bake for a further 30 minutes. 2. OTHER VEGETABLES: You can use any vegetables that you want for this recipe that are suitable for roasting, but you'll need to cut them to size so they roast in 30 minutes. Or you could add them with the carrots at the beginning of the recipe, in which case they need to be able to hold up to a full 50 minutes baking time. 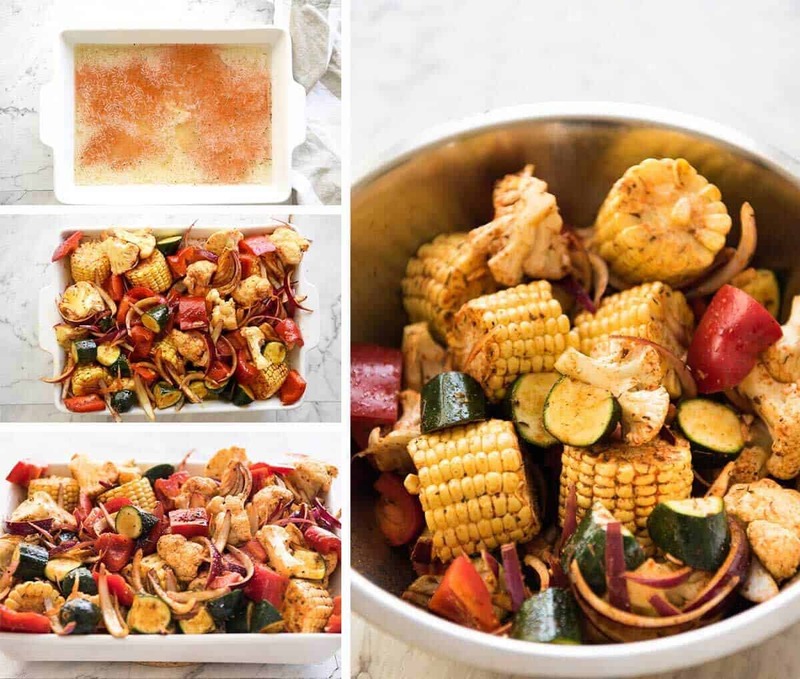 When choosing veggies, bear in mind that there is only so much surface area and only those veggies on the top will get charred like traditional roasted veggies. That is why I choose to cook the carrots in the rice and to push most of the corn under - they are tasty even without being browned from the roasting. For vegetables that cook quickly like asparagus and green beans, toss them on top for the last 15 minutes of bake time (otherwise they'll be a soggy mess). 3. If you would like to lower the sodium in this, use low sodium broth and reduce the salt to 1/2 tsp and increase the garlic powder and thyme by 1/2 tsp each. 4. YOGHURT SAUCE: The roasted veg are juicy and the rice is seasoned so I don't need a sauce with this. However, if serving the next day, the rice does tend to be drier so a sauce is nice. I normally just use a mix of yoghurt + lemon + olive oil. 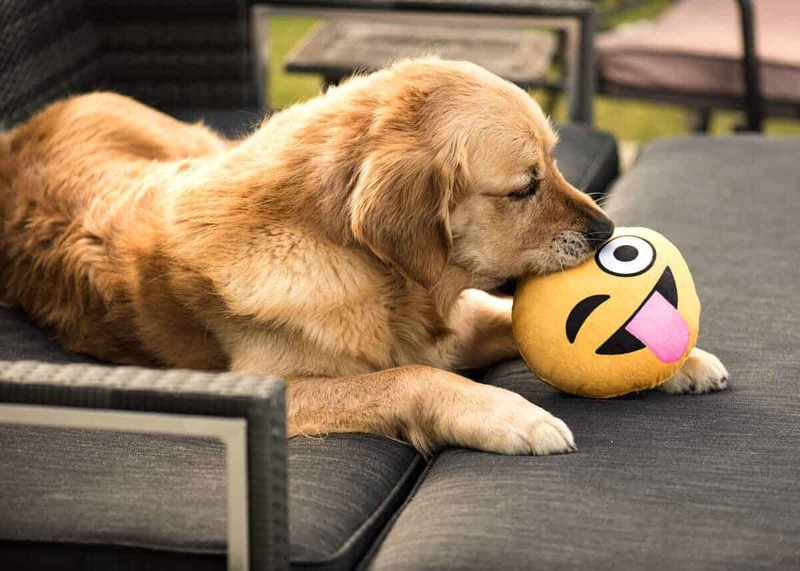 His current favourite toy. I bet this doesn’t surprise anyone. This came out perfectly, although I changed up the veggies and cook time. The rice is moist and really flexible, good results even with a longer bake time. I would add more chicken fat to it next time to make it richer. This was soooooo good. I used farro instead of rice. It took a bit longer to cook but well worth it. I made this last night with smoked rice, I added some chopped cabbage and frozen veggies, put onions and tomatoes on top. It’s a keeper! Made this last night and no kidding, I shared the recipe 3 times … it was a hit! Thank You so much for the recipe , it will be my favorite dish for me and my vegetarian friends and family. Next time I’ll add eggplant and mushrooms and try other recipes from Your great blog. Do you precook the rice? Oh my Gosh ! This is fabulous. I followed the recipe exactly and it was perfect. I took the tip about adding other veggies if desired and put in small mushroom and a yellow squash cut like the zucchini. The entire family loved lit. This is going to be made often and I can’t wait to experiment with other vegetables. Nagi!!! This recipe. 💖 Made it AGAIN last night, and some of my rice got a little too cooked, but that just made more extra crunchy rice bits, not a bad thing! 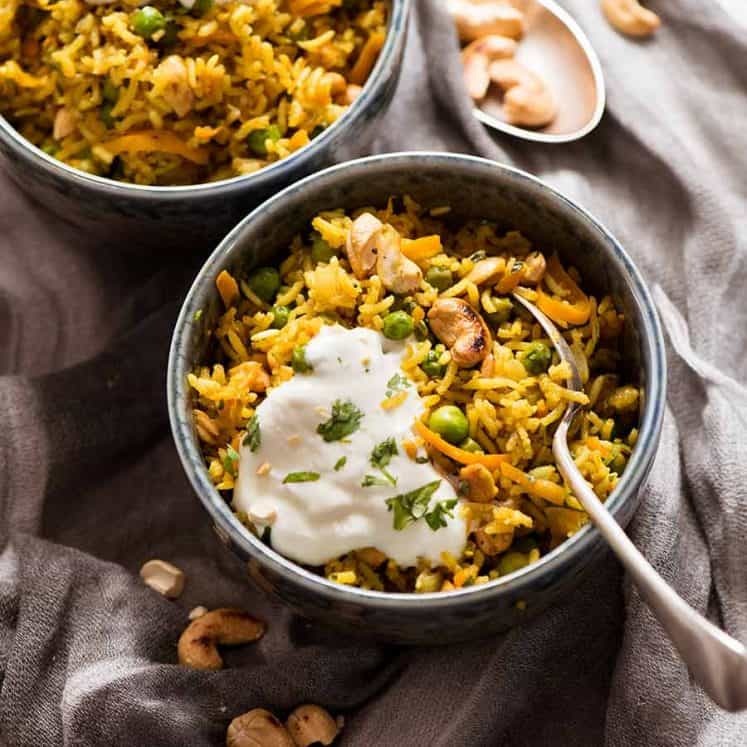 So, I adore this recipe because it’s delicious and so easy to make totally vegetarian (my stepdaughter is a vegetarian.) Also? That spice mix of yours? I literally triple the recipe when I put it together because it has become my favorite go-to spice combo!! Steaks? Check! Pork chops? Check! Veggies? Check! Chicken? Check! I made your chicken and rice tonight……delicious! Rice was absolutely perfect! Now I want to try the vegetable and rice recipe. 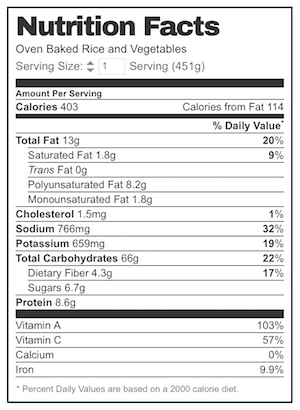 Just wondering, would eggplant work in this? Thank you—- I have you in my favorites. Would love to make this for tea tonight. Could i add some lamb chops on top of the rice with the veggies? I’ve made this recipe once and it was so delicious! So flavourful and hearty. I was wondering if you can use brown rice and how it would affect the cooking times?